It was a story that had all the elements of a headline: The unconventional Pope Francis saying something unconventional. The remarks caught fire, and very soon there was commentary from all over the world — from activists who took the words as a boon for animal rights to theologians who weighed in on whether animals had souls. Apparently, the phrases took a life of their own and spread throughout the Portuguese-speaking Internet with variations in scoring and attribution of authorship. Then someone decided to take a poem… paste such a small piece at the end and distribute everything as if it were the work of Fernando Pessoa. It did not take long for my three phrases to start being attributed to the Portuguese poet – after all, it is always nice to quote a famous Portuguese writer instead of an almost unknown Brazilian blogger. Fast-forward to September 2015. The Facebook page of a “Missionary Community of St Paul the Apostle and Mary, Mother of the Church” — a Kenya-based Catholic group — shared the same passage in English, attributing it, in what appears to be the first such attribution, to Pope Francis. Given Filipinos’ entrenchment in social media and our collective fondness for the Pope, it did not take long for someone to share it, and the rest is history. Despite its origins from a satirical website (NEWSPH), which said it was a “fictional interview”, people shared it on Facebook anyway, with the Pope’s image appearing as a meme with what he supposedly said. 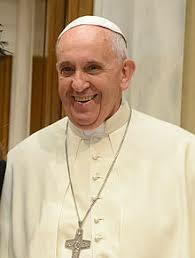 To Pope Francis’ credit various passages and remarks are ascribed to him. After all, apocryphal sayings are a mark of fame. Jose Rizal, too, received the same distinction when we gifted him with the adage “Ang hindi magmahal sa kanyang salitâ/ Mahigit sa hayop at malansáng isdâ” (One who does not treasure his own language/ is worse than an animal and putrid fish) and the entire poem, “Sa Aking Mga Kabata,” that bears those lines. Historian Ambeth Ocampo points out that Rizal couldn’t have used the word “kalayaan” (liberty) in the poem, which he supposedly wrote at age 8, as he first encountered it when he was already in his 20s. This and other compelling arguments notwithstanding, Rizal continues to be regarded as the poem’s author. Perhaps Herminigildo Cruz, the poet who first published the supposed Rizal poem, wanted to popularize it by ascribing it to the national hero; as his own work would never make it as required reading for schoolchildren. Similarly, it is unlikely that the words of a Portuguese poet — or a Brazilian blogger — would go viral. It required the imagined authorship of a revered Pope Francis for the piece to be read, appreciated, and shared. But all these fake sayings say more about us than of the people to whom we attribute them. They speak of how, in the quest for virality, factualness is sacrificed for immediacy, sometimes with dire consequences for the persons involved. It also speaks of the uncritical acceptance by people of online information. While these sayings may come in the form of innocent, feel-good phrases, we must not fail to see through them the dangers of our social-media age, when all you need is a face and a phrase to put words into someone’s mouth — and be believed by a multitude.